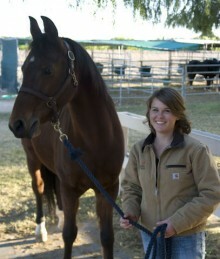 Recipients of the 2015 Nestlé Purina Scholarship are Teagan Hasler of Tucson, Ariz., Dr. Gwen Stair of Kirkwood Mo., and Sandy MacArthur, currently a student at the University of Florida College of Veterinary Medicine in Gainesville, Fla.
Veterinary technician Teagan Hasler came by her love of veterinary medicine naturally through her veterinarian mother. “I spent my childhood at her clinic instead of day care,” she said. 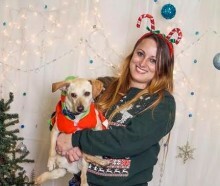 “I learned my alphabet by filing charts and learned to count by helping fill prescriptions.” Even with so much exposure to the veterinary field, she was still unsure about making it her career until she started volunteering at her local humane society. “I fell in love with shelter medicine and knew that’s what I wanted to pursue,” she said. Hasler has worked as a technician in rural MASH clinics and HQHVSN clinics, volunteered at an animal rescue in India, and is lead evaluation technician at Pima Animal Care Center. She is enrolled in the Shelter Animal Physical Health online course, part of the Maddie’s® Online Graduate Certificate in Shelter Medicine. Dr. Gwen Stair graduated from the Western University College of Veterinary Medicine in May of 2015, and began working as an emergency veterinarian and gaining experience working at the Animal Emergency Clinic in Kirkwood, Mo. Sandy MacArthur is a current fourth year student at the University of Florida seeking dual degrees in veterinary medicine and public health. Her experiences range from investigating adoption strategies to researching surgery training methods for veterinary students. “I’m thrilled to couple my veterinary medical education with the training provided by a university-based trap-neuter-return program, Operation Catnip,” she said. Her current interests include shelter management dynamics, pet adoption barriers, and companion animal surgery. In her spare time, she enjoys exploring land and sea with her four dogs. Nestlé Purina is a major corporate supporter of animal shelters and shelter medicine programs. 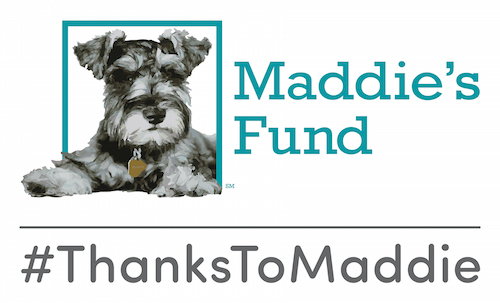 In addition to the support they provide students in the Maddie’s Shelter Medicine Program, they assist other veterinary schools with their shelter medicine programs and support pet welfare in animal shelters through programs like Rally to Rescue, Adopt-a-Pet.Com, The Good Move Program, and the PurinaOne Shelter Feeding Program.